If you can never find the things that you need, it might mean that your house is a mess. Not only does clutter look unsightly, but the constant muddle of so many things makes you feel confused and stressed. The reason for this can be found in the ancient Chinese art of feng shui. The Chinese believe that there is an invisible life force or energy that flows through all living and non-living things. This energy is called chi. Balancing and manipulating the flow of chi in the home is a major part of feng shui. The chi that flows through the home needs to do so freely in order to have a positive impact on the people who live there. It enters through the front door, moves through the room in a spiraling motion, then finds an exit through a back door or window. Clutter is the biggest obstacle to a smooth chi flow because it acts like a roadblock that chi cannot easily pass through. 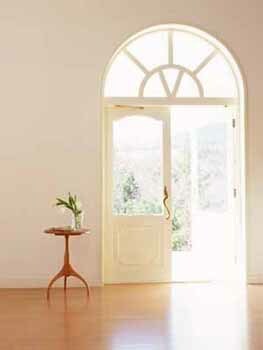 When this occurs in the hall, which is considered to be the “mouth” of the home, it prevents chi from entering at all. If there is clutter all over the house, chi will move sluggishly, which affects the occupants and make them feel stuck in a rut. Feng shui experts who are sensitive to chi usually sense these stagnant areas by a “sticky” feeling and a stale, musty odor. When you surround yourself with objects that you often use and love, they emit a strong energy that encourages the normal flow of chi and helps produce an atmosphere that makes your life happy. Loved possessions nurture and support you. Surrounding yourself with unwanted junk or broken items has the opposite effect – their negative energy will only pull you down, and the longer they stay there the worse their effects get. Start by throwing out all objects that have no particular meaning for you, and you might discover that you feel better physically, mentally, and spiritually. This makes perfect sense to me. I definitely feel a shift in energy when I have things decluttered. When they get out of hand everyone gets irritable. It takes only moments to feel the benefit of clearing a space. I have started using it as my sure fire method of stress release. Have you ever seen the book by Denise Linn called Sacred Space – clearing and enhancing the energy of your home? It’s one of my old time favourites that I keep in my bedside pile of books.